Tina and her husband have raised four responsible children and believe all parents need to teach their kids how to take ownership of their decisions. Fortunately, there are mindful steps parents can take to raise responsible children. It’s never too early to start teaching your child to do the right things, for the right reasons. It’s the old adage, “catch your child being good”, and make sure he or she knows you appreciate it. Too often, kids get more attention for missteps than for positive behavior. Parents who believe in raising responsible teens will start catching their toddlers making good decisions, and continue reinforcing smart choices well into the teenage years. Giving a child a job to do on a regular basis helps develop more than a work-ethic; it also helps spark motivation that leads to responsibility. Very young children can help pick up their toys or dust chair legs. Older children can help with meal prep, dishes or child care duties. It’s a cumulative thing, whereby the more children demonstrate they can be trusted to carry out a task, the more responsibility they earn. You can’t save your teenager from dealing with the consequences of bad behavior. Better to teach him or her as a young child that he or she will have to be accountable for choices, and clean up his or her messes. A child who fails to finish his homework must face the consequences of an annoyed teacher or a bad grade. If he or she procrastinates or doesn’t complete a chore, he or she can’t earn screen time privileges until the job is finished. The key here is consistency. Instead of focusing on punishment for bad behavior, try using discipline by reframing the choice. Is your child screaming at a sibling? Staying out past curfew? Discipline with a natural consequence, but also suggest alternatives that offer a solution, and a chance for them to self-monitor their behavior. Reinforce the positive changes, to help them develop confidence in their own decision-making skills. A non-judgmental approach shows your child you love them, and want to help them make appropriate choices. If you want to raise your child to be an accountable, responsible adult, be one yourself. Occasionally point out to them when you abide by rules, complete a task or keep a difficult promise. Apologize for mistakes and make amends when appropriate. Avoid blaming, and instead, come up with solutions from a place of accepting responsibility. 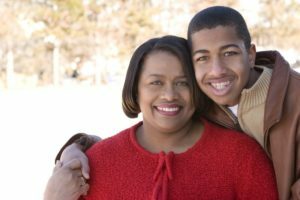 A good place to start with modeling the kind of behavior you want is to take the Pledge with your teen. Big talks, such as preventing underage drinking, can seem overwhelming to some parents. Try trimming the discussions into smaller, age-appropriate conversations. You can add more information and depth as your child matures. Responsibility comes in stages, and children need help navigating every stage. Tina suggests letting them make mistakes that help them learn life lessons. Other seasoned parents suggest talking often with your kids about doing the right thing when they find themselves in tough situations. If you need support in teaching your child to make healthy, responsible choices, Start the Conversation.